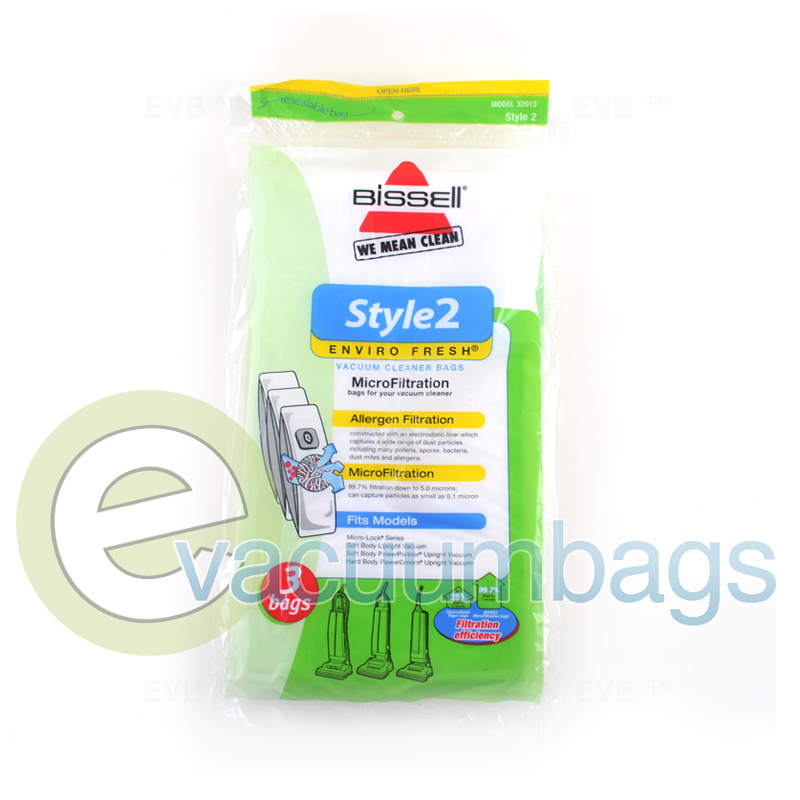 This pack of three genuine Bissell EnviroFresh Style 2 microfiltration vacuum bags are designed for Bissell PowerPartner, Bissell 35204, Bissell 35216, and Bissell 3523. 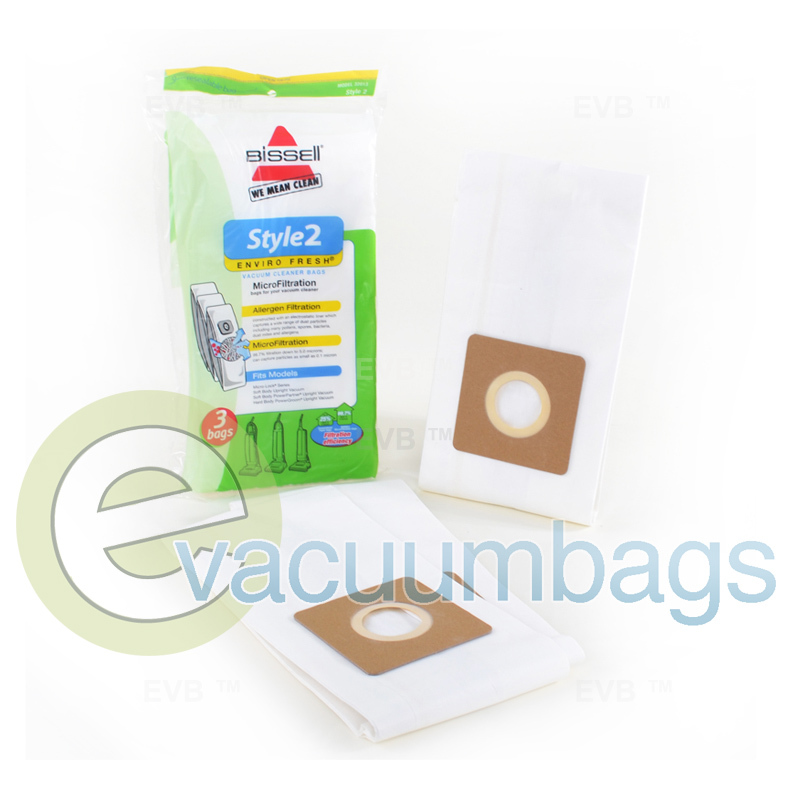 The bags are constructed with an electrostatic liner. 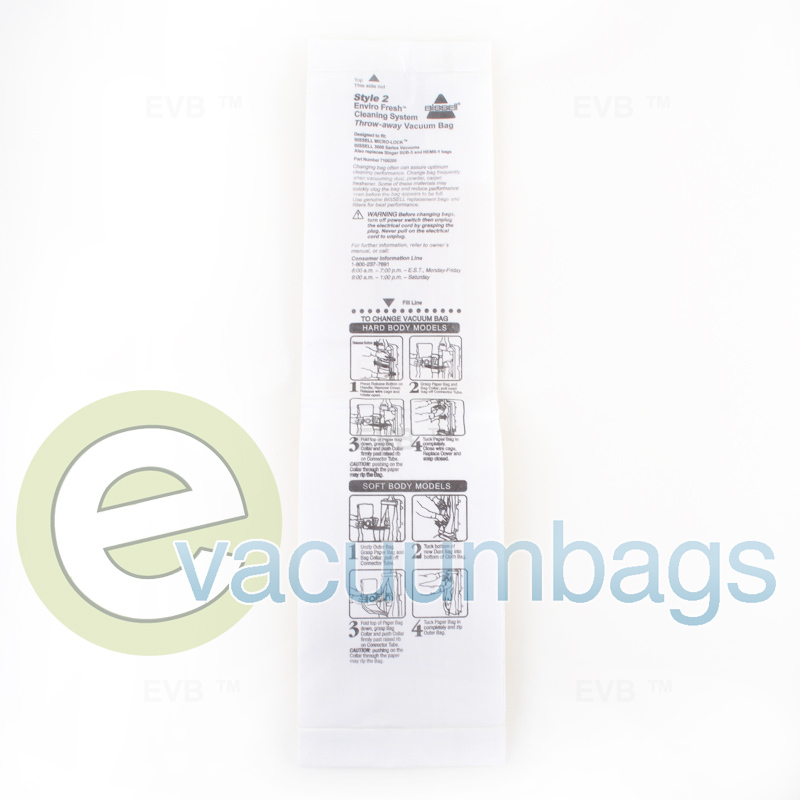 The liner captures a wide range of dust particles including many pollen, spores, bacteria, dust mites, and allergens. 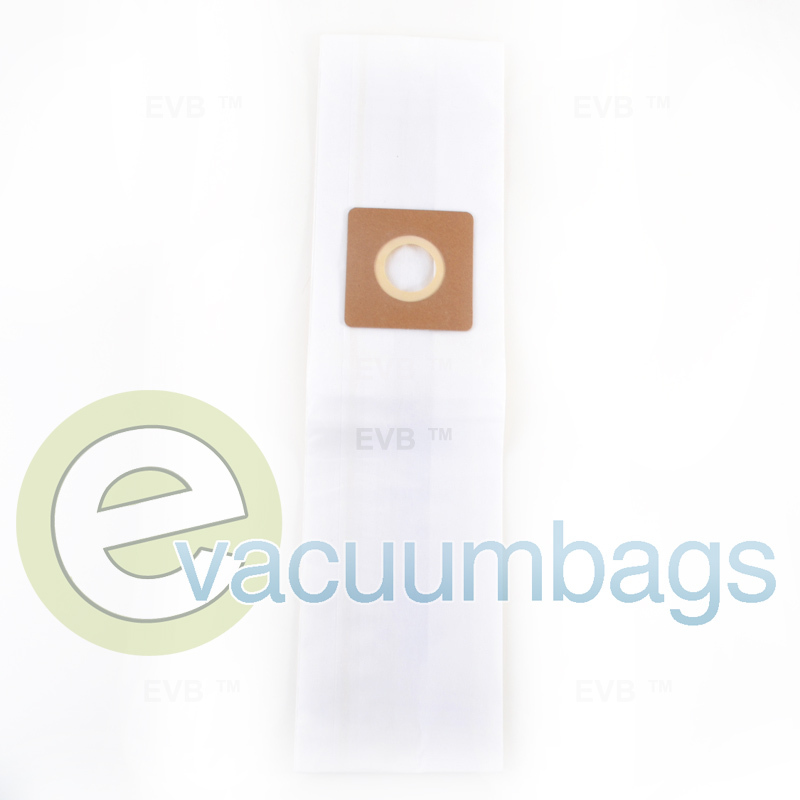 The microfiltration system has a 99.7% filtration percentage down to 5.0 microns and can capture particles as small as 0.1 microns. 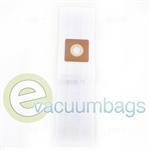 Conventional paper bags only have a 25% filtration efficiency compared to Bissell's 99.7% rating. 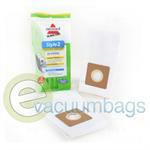 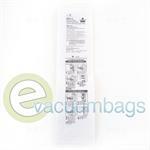 The bags feature a sturdy cardboard mount with a self sealing ring for an easier installation.